Incontinence is the medical term for the inability to control urination. Urine is produced by the kidneys and stored in the bladder. The sphincter muscles near the bladder outlet prevent urine from leaking out until the rain indicates that it is time to urinate. When control of this process is lost, the resulting condition is called urinary incontinence. More than 14 million Americans are incontinent. 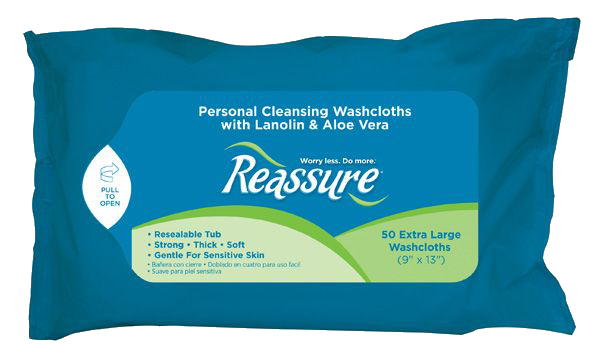 The feelings of helplessness associated with incontinence are often far worse than the medical condition itself. The treatment options vary from simple lifestyle changes to medical procedures, and can help you regain control of your bladder and maintain a normal, active lifestyle. Infections or inflammations of the bladder, the prostate gland or the surrounding muscles. Nervous system disorders such as spina bifida, diabetes, or strokes. Weakened muscle control due to age or such natural occurrences as childbirth. Damage caused by spinal injuries. This is the leakage of urine as a result of sudden stress on the bladder. Often it is caused by coughing, laughing, exercising or lifting a heavy object. This is a sudden urge to urinate that is so strong it can’t be held in. This type generally occurs if you can’t reach the bathroom in time after the urge or as a result of decreased muscle control. This is involuntary urination because the bladder has filled beyond capacity. Pressure on the bladder may build up and the muscles surrounding the bladder are unable to hold in the urine. 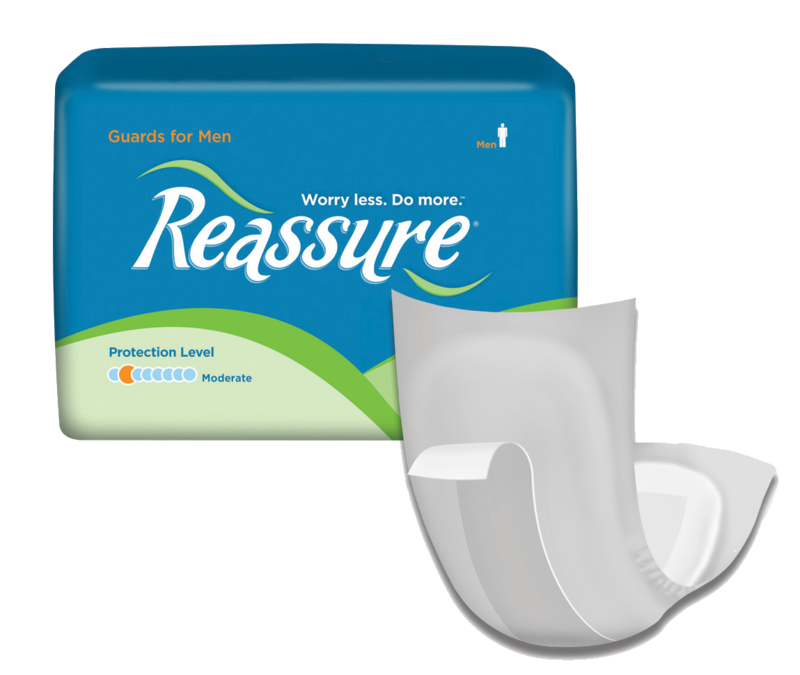 Unfortunately, incontinence often places a stigma on people that is sometimes much worse than the physical condition. People would rather stay home than risk the embarrassment of having an accident in front of friends and family. This isolation can lead to depression and a complete withdrawal from social activities. 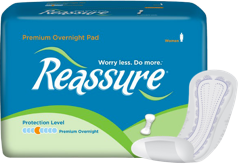 Incontinence, however, should not be looked upon as a disgraceful condition. It is a physical disorder that can be treated and frequently cured with the right medical help. If you are incontinent, you should see your doctor about specific treatments that might benefit you. Treatment options include bladder training, muscle conditioning and exercise, surgery and medications. 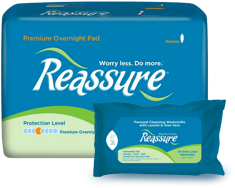 The many varieties of absorbent products offered by Reassure can help you manage your incontinence and live a full, active life.